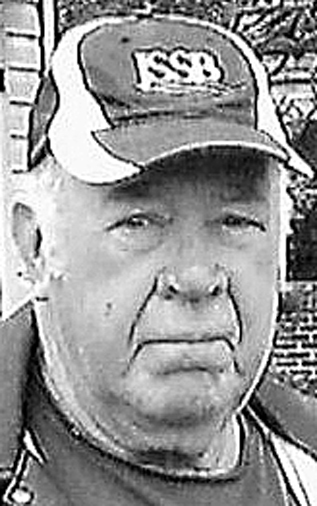 James H. Moltz Sr., of Jersey Shore, died Saturday March 9, 2019 at the Gatehouse surrounded by his loving family. Born August 21, 1936 in Jacksonville, Pa. he was the son of Herbert J. Moltz and the former Mary Elma Schenk. Jim retired from Alcan Cable after 30 years of service. He was a member of the Larryville United Methodist Church where he was a former trustee and a member of the Jersey Shore Town Meeting where he was a past President. He was a 1954 graduate of the Jersey Shore High School and was a Mifflin Township Supervisor for 12 years. For 16 years, he served on the advisory board of the Larrys Creek Volunteer Fire Company. He was also an active member of the Jersey Shore Lions Club and enjoyed hunting, fishing and snowmobiling with his family. Jim is survived by his wife the former Roberta J. “Pat” Lupold, they were united in marriage Jan. 19, 1957 in the Avis United Methodist Church. Also surviving are two sons, James H. Jr.(Kathy) Moltz, of Jersey Shore, and Jon C. (Lynn) Moltz, of Jersey Shore; two daughters, Debra J. (Doyle) Hillyard, of Jersey Shore and Diane G. Barnard, of Jersey Shore; four grandchildren, Tiffany, Travis, Jennifer, and Jon Jr.; and three great-grandchildren, Cailyn, Kylie, and Sadie. Funeral services will be held 10 a.m. Wednesday, March 13, 2019 at Frederick B. Welker Funeral Home, 125 N. Main St., Jersey Shore. Friends may call 5 to 7 p.m. Tuesday evening, March 12, at Welker Funeral Home. The Rev. Kevin Brophy will officiate.